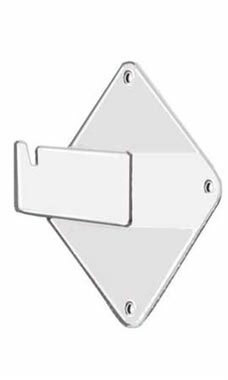 The White Wall Mount Bracket can be used to mount existing wire grid or slat grid panels to any wall surface. The diamond shaped wall plate features a 2 1/2” extension with a notched end for panel insertion. Additional features include four pre drilled screw holes. Mounting hardware is not included.